The Sperm mixed elements of avant-garde music with free jazz and psychedelic pop. 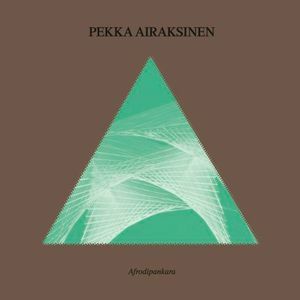 Following The Sperm's breakup in the mid 1970s, Airaksinen turned to Buddhism but kept producing music in the years to come and integrating Roland 808 drum-machines into his music and releasing 80's classic-Lp's like 'Buddhas of Golden Light'. Afrodpankara is produced during the same creative period.